Gunfleet Sailing Club held the final race in its Winter Series on Sunday 7 December 2008 in very pleasant conditions, with a light west/north-westerly wind and flat sea coupled with blue sky and sunshine greeting the competitors. It didn’t take long for the competitors to make the first buoy, at Eastcliff, before a run out to the Seaward mark. At this point, whilst Ken Potts had forged ahead in his RS600 the Lasers and the Comet were unable to shake off Bethany Ford and Lydia Ward in their Topaz. The penultimate race in the Gunfleet Sailing Club’s Winter Series took part in a fresh north/north easterly wind last Sunday with eight boats taking part and victory going to Simon Clarke in his Solution. Before the start Geoff Battersby was forced to come back to the beach when his tiller broke, but undeterred he borrowed a Solution and headed back into the fray. As the class flag fell from the yardarm, denoting the start of the race, Paul Stanton took an immediate lead in his Laser, followed closely by Clarke. Gunfleet Sailing Club held the fourth race in its Winter Series last Sunday 16 November. Conditions once again proved to be very uninviting with a complete lack of wind, heavy grey sky and steady drizzle. 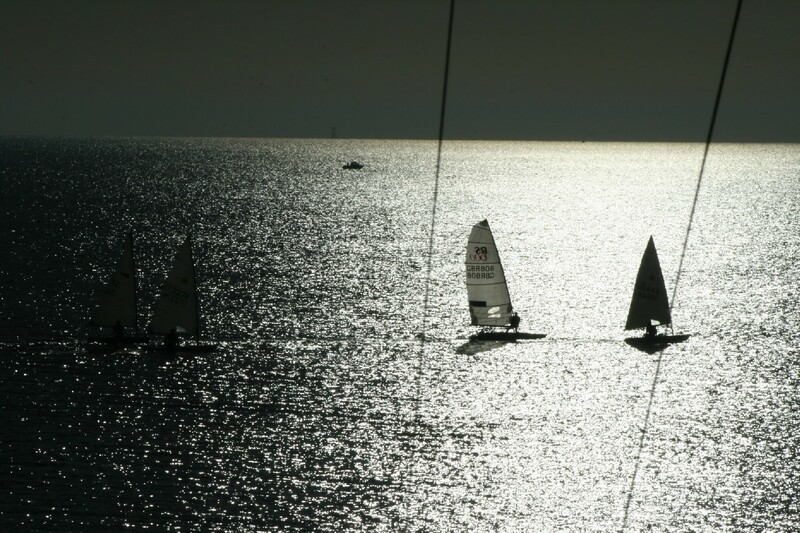 However, this did not deter the enthusiastic competitors and as if to reward them a light offshore breeze appeared just before the start, and it stopped raining. On a closely bunched line the first away was Simon Clarke in his Solution, followed by Geoff Battersby in his Blaze. In complete contrast to the previous week’s conditions, members of the Gunfleet Sailing Club were greeted by a force five bitterly cold south westerly wind and an uninviting lively grey North Sea for the third race in their Winter Series last Sunday 9 November. Undeterred, even by the threat of storm force conditions heading towards the Essex coast, the helms launched themselves off the beach under the watchful eye of the Club Rescue Boat. The beat to the Eastcliff buoy saw John Heath lead the fleet in his Laser Radial but it wasn’t long before Ken Potts slipped past in his RS600. The members of Gunfleet Sailing Club were greeted by blue skies, pleasant autumn sunshine but a complete lack of wind last Sunday 2 November but preparations continued for those taking part in the second race in the Winter Series. Eight boats launched very gracefully into the flat North Sea and struggled to fight the strengthening flood tide as they attempted to head for the start line. Last Sunday 26 October the Gunfleet Sailing Club held the first race in its Winter Series. As the competitors arrived there was a fresh south/south westerly wind blowing, large seas and steady rain falling under a very grey sky; conditions to deter even the hardiest sailor. However, as time went on the wind fell away completely and the seas began to flatten, albeit the rain continued to fall. As a result six boats took to the water and limped to the start line. 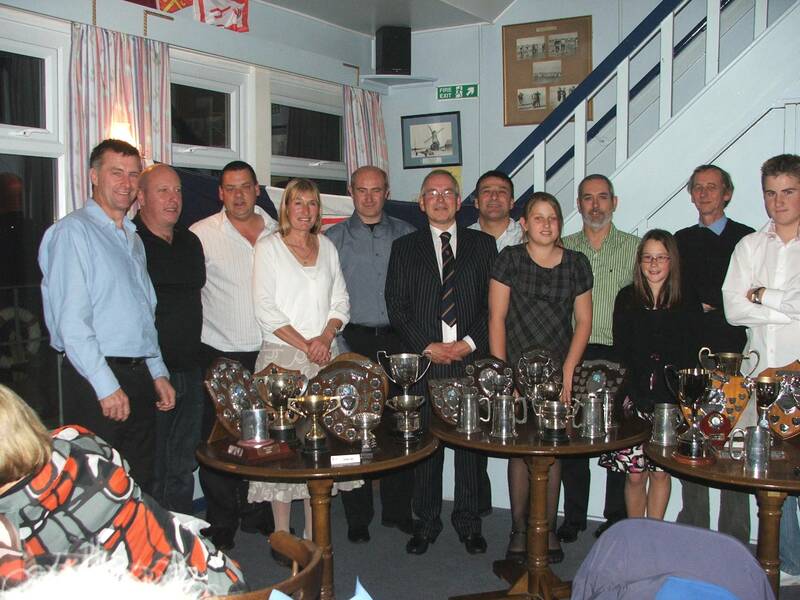 The Gunfleet Sailing Club held its 2008 Laying-Up Supper and Presentation of Trophies on Saturday evening 18 October at the Walton and Frinton Yacht Club. Gunfleet’s Club Commodore Richard Walker welcomed over 60 members to the function and looked back at a very successful year despite fairly poor weather. All events, both on and off the water, had been extremely well supported and the increased compound had resulted in an influx of new members. Last Sunday 5 October the Gunfleet Sailing Club held its third race in the Autumn Series in very unpleasant conditions. With a force five gusting six southerly wind, big seas, grey skies and rain showers the Officer of the Day thought long and hard before determining it was suitable to hold the event, albeit over a small course. Under the close eye of the Club Rescue Boat the competitors got off to a flying start with John Tappenden leading the fleet on the beat to the Eastcliff buoy, and continuing to maintain this position on the reach to the Seaward mark. The Gunfleet Sailing Club held its race for the Bill Clarke Shield last Sunday 28 September in almost summer-like conditions. Blue skies, bright sunshine and a light southerly breeze set the scene for a gentle sail albeit one where tactics really counted. With four of the Club’s Solution dinghies away at an Open event at Hunts Sailing Club and the Xenon at a Hertford County Yacht Club Open it diminished the fleet to ten boats taking part in the race. First to cross the start line was Andy Dunnett in his Laser with Paul Stanton, also in a Laser, hot on his heels. The Gunfleet Sailing Club held the second race in its Autumn Series on Sunday 21 September in sunshine and a light easterly wind. Fighting a strong flood tide eleven boats headed up to the Kingscliff buoy, tacking close to the shore to minimise its impact, and once safely around the fleet headed out to the Seaward mark on a reach. One or two competitors found themselves being swept past the buoy and lost time putting in a small tack in order to successfully round it. Sunshine and blue skies greeted members of Gunfleet Sailing Club last Saturday afternoon when they headed down the coast on the last cruise of the season. A very light north easterly breeze took the 9 boats sedately around the end of Clacton Pier and, accompanied by the Club Rescue Boat, the craft headed for a suitable place to stop for refreshment. 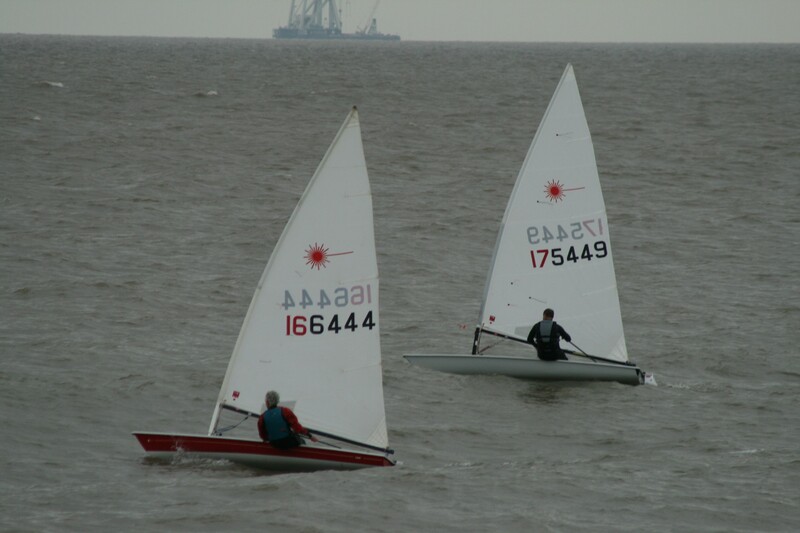 Gunfleet Sailing Club held two races last Sunday 7 September in very mixed weather conditions. The first was an early morning race to complete the Egg and Bacon Series with ten boats taking part. A westerly wind which varied in strength kept the helms on their toes as they fetched to the Eastcliff buoy. There then followed a broad reach back to the AWS mark followed by a gybe and a broad reach out to the Seaward buoy. 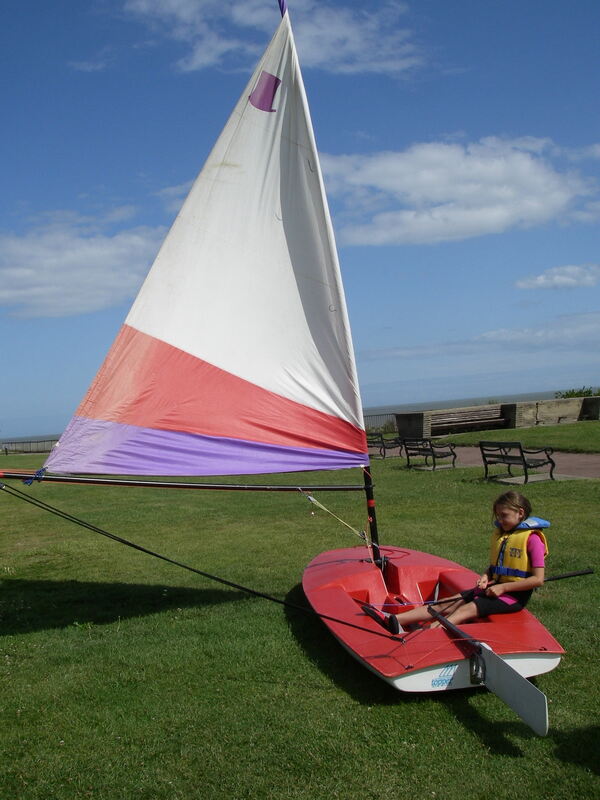 Gunfleet Sailing Club’s Cadet and Otter sailing continues to go from strength to strength and last Saturday afternoon 30 August there were nine boats out, filled to the gunwales with youngsters just having a great time on the water. On Sunday afternoon the Club held its race for the Potterers’ Pot – an event specifically for those boats with a slow handicap, and thirteen boats took part. They were greeted with somewhat humid conditions and a light breeze that seemed uncertain which direction it wanted to blow from. Who needs water to learn how to sail? 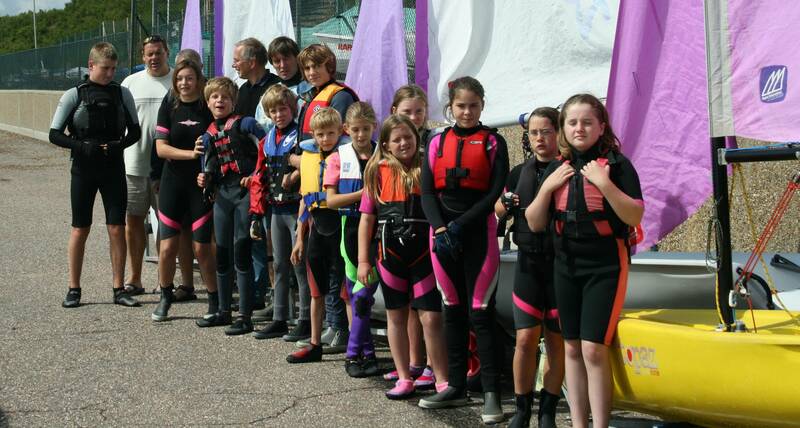 Gunfleet Sailing Club Cadet Week proved an overwhelming success with over 20 youngsters taking part. Despite the beginning of the week proving very windy it didn’t stop, amongst a variety of fun and games, sail training on the first day including rigging and de-rigging a boat plus “dry” sailing on the greensward in Toppers. 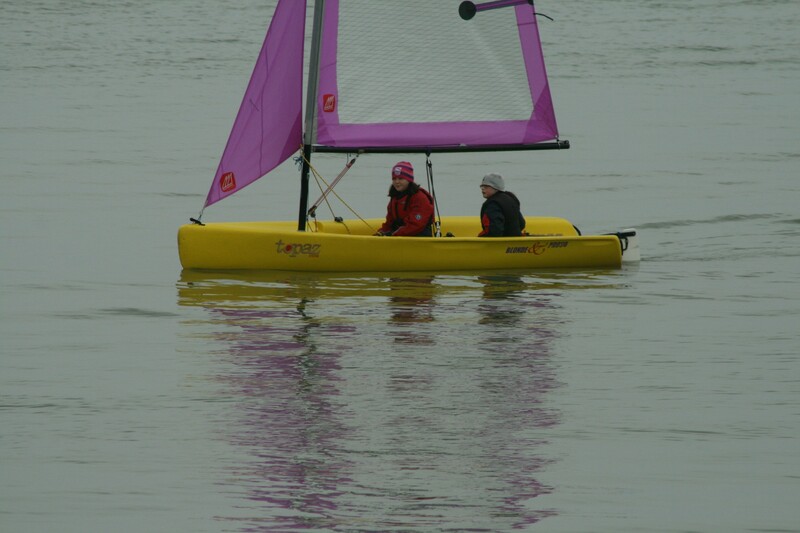 The following day there was an organised visit to White Formula at Brightlingsea to see how modern dinghies are built and on Wednesday, in slightly lighter winds, the Cadets and Otters took to the water and gained experience in different points of sailing. Gunfleet Sailing Club’s Cadet Week kicked off last Saturday evening 16 August when the Cadet’s and Otters took part in a moonlight cruise. Under strict supervision the youngsters headed up the coast to the haven as dusk fell and then sailed back in the dark, guided home by the lights of Holland on Sea. On the Sunday it was “Bring a Friend Day” when the Cadets and Otters brought their friends down to have a go at sailing and find out what a great sport it is.